A lot of potential life insurance holders seem to think of their investment as a sunk cost. Purchasing a life insurance policy, they posit, isn’t really worth it unless you die. But living through a policy doesn’t have to mean that your money is lost. Unfortunately, this understanding means that many people don’t purchase a policy until it’s too late, or they wait to purchase a policy and deal with increased premiums later in life as a result. Being sensible with your investment means understanding the options available to you. These are the things you need to know if you’re looking to invest in a short-term policy of facing the inevitable conclusion of an existing policy. If you want to add life insurance coverage, whole life should be on your radar, but you want to make sure to look at the policies closely because the options available to you can vary wildly. But if you want to make an investment while still having some leverage with what you can do with the money, you’ll want to look closely at a policy that pays dividends, like whole life insurance generally does. When you get a whole life insurance policy that pays out dividends, it’s not too different from investing in stocks. The way it works is that you’re essentially buying into the larger pool with your life insurance company. They share a portion of their profits back to their life insurance holders, and you have a lot of flexibility regarding what you can do with that cash. Of course, that doesn’t mean that there aren’t disadvantages to investing in whole life insurance. It’s not nearly as cheap as term life insurance, and many people feel like it might not be worth the investment until they start to get older and actually deal with the meaningful risk of death. But whole life insurance also offers a whole wealth of rewards. It ensures that your family is protected in case the worst happens. And if you own a business with a partner, a life insurance policy can make sure that your business partner can continue on with your legacy even if tragic circumstances arise. Dividends give you the advantages of whole life insurance while also providing you with steady returns on your investment. The way it works is like this. Dividends are flat percentages that pay out in your favor every year. For instance, if you have a 3% dividend on a policy that’s worth $20,000, you’ll get $600 paid back to you a year, and most whole life insurance dividends scale with your policy. That means if you decide to pay more into your insurance policy, your dividend will adjust to accommodate it. While it’s unlikely that these dividends are enough to pay off your policy entirely, investing smartly can put a serious dent in your monthly premium. That provides an extra advantage to investing in a health insurance policy early, and it offers an additional bit of sensibility to putting your money in a whole life rather than a term life insurance policy. Essentially, it’s an incentive for the young and healthy to secure their future, but it can also provide benefits for insurance holders who are getting up there in age. There are quite a few ways you can leverage this money to your benefit, and if you want to make the most of your profit, you’re going to want to make sure you understand your options intimately. Your life insurance provider can send your money to you as a cash payment. It’s the easiest option but also one of the most flexible. It’s also a great way to make sure that a portion of your life insurance policy is reinvested in another aspect of your life, as it allows you to diversify your interests. Dividends are usually tax-free as well, which adds to the value you get out of your payments. While taxation can be a complex issue, this is fairly straightforward. 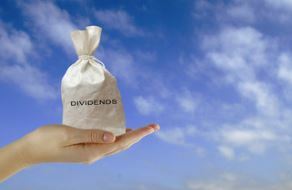 A dividend is typically treated as a return of premium when it is paid from a life insurance policy, and they are not taxed until you have taken out an amount at least equal to the total premiums paid into the policy. You could use it for any number of sensible purposes like paying down your college debts, paying your mortgage or making sure you have the money for a down payment, or even investing it directly back into your savings. It can also be used for more frivolous purchases without the worry of having to pay taxes on it. Buy a boat, take your family on a vacation, or get the renovations you need on your house stress-free. Just keep in mind that you still have to keep your premiums into considerations when calculating taxes, and the tax-free loophole doesn’t apply if your policy is a modified endowment contract. The ability to reduce your premium is possibly the most sensible option, even if it’s a little boring. You can credit the money that you earn to cut into the cost of your premium, and since your dividend pays out as a percentage of your total life insurance worth, it can do some serious damage to the costs you have to pay on a regular basis. By crediting your dividends to your premium, you’re doing more than just alleviating the weight of your immediate costs too. This allows you to double down on your payments, pay down your policy quicker, and reduce the interest that naturally accrues over time with any standing policy. If you want to be thoughtful with how you deal with your dividend but you don’t want to go through the hassle of figuring out the investment yourself, you can leave it with the life insurance company to save it for you. They’ll put it in a modest savings account that will accrue interest over time, allowing you to build wealth alongside your life insurance policy. This can often be a more lucrative option than putting it towards your premium, but it might not work as well for you as investing it in stocks, bonds, or accounts yourself. You’ll want to look closely at the terms of your contract, see the interest options available to you, and weigh it against the potential advantages and hassles that would come from taking the money and investing it directly yourself. While a life insurance policy is a good thing to have, the policy you have isn’t necessarily all that you need. If you’re looking to expand the worth of your life insurance policy, you can ask your insurance company to take your dividend and reinvest it in your existing policy. This option is typically called something like “purchasing more paid-up life insurance“. This will increase your death benefit, but the additional death benefit is already paid. This is equivalent to the paid-up portion of your policy being a single premium policy. You buy the additional death benefit with the dividends, but you will not increase your premiums. This also has a compound effect on your dividends because it will increase your future dividend payments, all else being equal. Among other reasons, this option can be popular when young people purchase whole life insurance because people generally need more coverage as they get older. By purchasing a smaller whole life policy when young, someone locks in relatively low premium payments, the policy will accumulate a high cash value, and the coverage can increase over time without increasing premiums. Premiums are made lower not just by the young age the policy is being purchased, but also by the smaller death benefit at the time of purchase. That means that your family will have an even greater nest egg in the potential case of your passing. You can also use it as a down payment towards a life insurance policy for another family member, or (if you’d like to take a policy with the same agency) put it towards an auto, home, or business insurance policy. This can provide you with an added level of security without you having to pull from your own personal finances. Regardless of the life insurance policy, you decide to take on, you’re going to want to make sure to do your due diligence ahead of time. This is especially true for a whole life insurance policy where you’re in the ride for the long haul. The terms offered by different companies can differ significantly, and the terms and wording of these contracts can be exceedingly complicated. At the very least, be sure to ask your provider if you have any questions about the terms. It may even be in your best interests to call in a professional to break down the terms, help you evaluate the options available, and assist with zeroing in on the policy that serves your best interests. While dividends can be a significant boon when you take on a policy, it shouldn’t be the primary factor you use when shopping around for policies. Ultimately, the reason for purchasing life insurance is making sure that your loved ones are protected and happy well into the future, and sacrificing an element of that for the sake of some easy money runs contrary to that very point. You should take into consideration your current age and health first and foremost and put them in context of what you can expect to need in the future. But you’ll also want to be careful to make sure that you purchase a policy that fits comfortably within your budget. If you aren’t able to comfortably pay off your premium whenever it comes around, a percentage dividend isn’t going to do you a lot of good.